Should the Vatican Apologize to Elizabeth Johnson and Reinstate Female Priests? ..."If women ontologically differ from men, then trying to force male voices and thoughts upon women commits one of these pesky “sins against nature” that the hierarchy abhors. If women do not differ ontologically from men, then excluding women from the priesthood is unfounded. Either women are different and hierarchical leaders owe Elizabeth Johnson not only an apology, they owe her their deep appreciation for letting these differences shine forth via her language of women…or women are not different and hierarchical leaders owe a deep apology and expression of gratitude as well as need to reinstate all the excommunicated female priests because they simply denuded a myth about men’s and women’s ontological differences. There is a third scenario where the hierarchy both reinstates female priests and apologizes to Elizabeth Johnson which should occur if men’s and women’s difference serve to complement rather than impede clerical ministry. But right now, the hierarchy’s stance seems to just further undermine its credibility." Brennan, who was a Jesuit for 75 years and a priest for 63 years, spent the last two years of his life under restricted ministry  because of participating in a eucharistic liturgy with a Roman Catholic woman priest in November 2012. His death was announced on the website of the Wisconsin Province Jesuits . Thank you Father Bill for your courageous witness for justice for women in our church. We will carry you in our hearts forever. You are one of our saints! We are counting on your heavenly support and prayers! A deeply spiritual reflection on where religious life is today "in the middle", struggling through a dark night of the soul! Sister Nancy provides nurturing food for thought not only for religious orders but for individuals and groups who struggle to live the Gospel during times of stress, loss, change and misunderstanding. 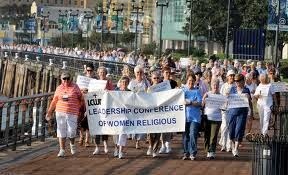 Right now the Leadership Conference of Women Religious faces a take-over of their organization by the Vatican. In this address, Sister Nancy invites us to go deeper to encounter the blessed embrace of Divine Love that meets us in darkness, and leads us toward the dawn. that despised the Canaanites and denigrated their beliefs. and that the unnamed woman was in on the act. I don’t see anything in the Gospel to argue for that interpretation. that Jesus was fully human. Just like us in all things. Like us, he had to learn. through conversation with the woman. to Central American children fleeing from oppression. and a religious group the extremists call "devil worshippers." so I try to get enough sleep. and the faith statement that he is fully human and fully divine. Perfection doesn’t fit with their experience of humanity. Perfection isn’t required for their own participation in Divinity. is the conscious, continuous effort to love God and neighbor. It requires openness to change. So we are in the same position today as Jesus was. but we need to keep our ears open anyway. but we need to do what we can. Sarasota Catholic Community Celebrates 45th Wedding Anniversary of Married Priest Couple: Lee and Carol Ann Breyer on Sat. 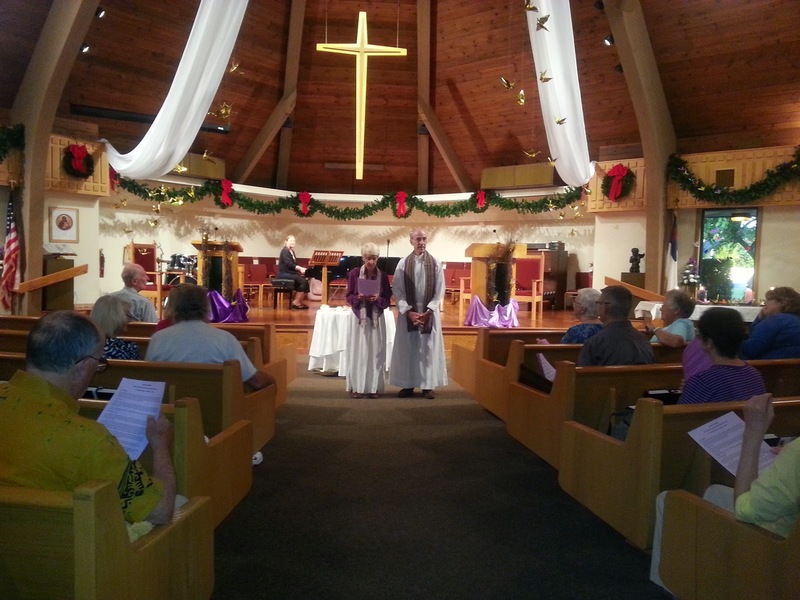 Aug. 16th at Mass, 4PM – St. Andrew UCC, Sarasota, Fl. On Sat. Aug. 16th, 2014, at 4:00 PM Mary Mother of Jesus Inclusive Catholic Community will celebrate the 45th wedding anniversary of married priest couple Carol Ann and Lee Breyer with a liturgy followed by a barbecue at St. Andrew UCC - 6908 Beneva Rd. in Sarasota, Florida, 34238. Lee and Carol Ann will preside at this celebration. St. Peter was married and so were 39 popes. Now Pope Francis hinted recently that married priests may be coming to a parish near you. In an interview on Sunday with La Repubblica, an Italian Newspaper, Francis described the practice of priestly celibacy as a “problem” in need of fixing. 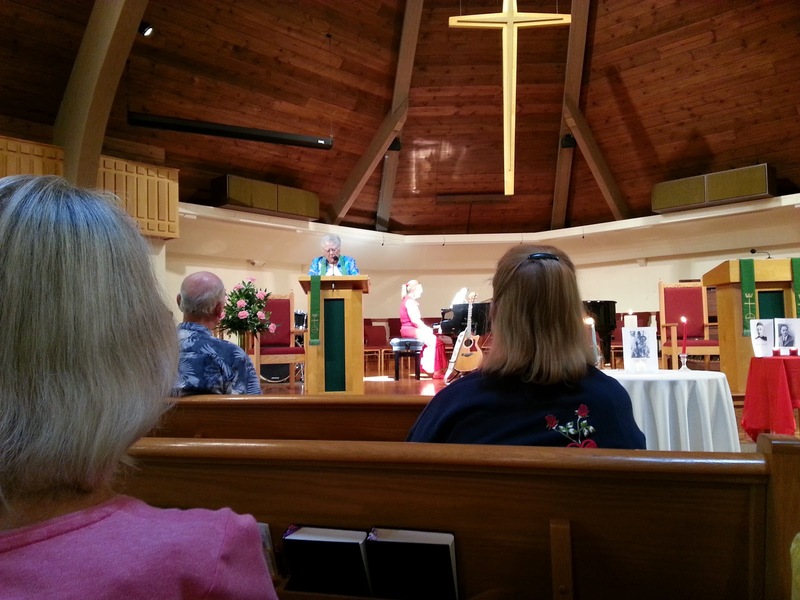 Inclusive Catholic Community in Sarasota, Fl. You can get a preview of a dynamic married priest couple in action at Mary Mother of Jesus Inclusive Catholic Community in Sarasota. Today married priests serve divorced Catholics who wish to marry again; young couples who want to be married on beaches, in backyards, and in hotel or other public facilities; LGBT members whose states recognize their civil marriages; families of deceased Catholics who no longer are connected with a parish, but who desire Catholic burials; those seeking Catholic Baptisms for children outside of formal Church membership; and on certain occasions, those who seek Reconciliation outside of a formal confessional setting. Many married priests are also serving in worshipping communities that meet in non-Catholic churches, private homes, or shopping centers outside of respective dioceses. Mary, Mother of Jesus Inclusive, Catholic Church, offers just such an opportunity for married clergy and others to minister publicly to the People of God. The practice of using Co-Presiders in liturgies completes the partnership example envisioned a half century ago. 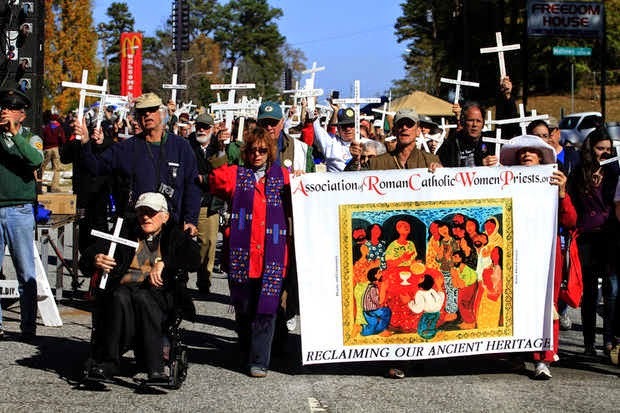 Together with Roman Catholic Women Priests, the married couples continue their service and witness to the “new model” which has its roots in original community gatherings described in the Acts of the Apostles and continued during the early centuries of Christianity. Priests who sincerely believed during the era of Vatican II that future Church practices would include optional, rather than mandatory, celibacy began to choose marriage as an effective way of broadening their ministerial calling through partnerships with spouses who shared their vision. The change in anticipated practice may have died with Pope John XXIII because it never happened. However, many dedicated married priests continued to serve those who were often disenchanted with the post-Vatican II failure to implement many of the changes hinted at in Council documents. Today we are aware of organizations such as CORPUS, CITI (Community Is the Issue), and the Federation of Christian Ministries that provide some structure and endorsement of Sacramental actions performed by married priests. Published: Monday, August 11, 2014 at 1:00 a.m.
"A recent CNN report highlighted new data showing that thousands of three- and four-year-olds, including a disproportionate number of boys and black children, are being suspended or expelled from U.S. preschools at a disturbing rate. More than 8,000 public preschoolers were suspended at least once, and some multiple times, during the 2011-12 school year, according to the Civil Rights Data Collection conducted by the U.S. Department of Education. During that year, black students represented 18 percent of preschool enrollment and 48 percent of students suspended more than once. Boys represented 54 percent of the preschool population and 82 percent of preschool children suspended multiple times. A child's early education, which includes preschool and elementary school, sets the foundation for future success. And for at-risk children with histories of poverty, abuse or neglect, this foundation reduces their likelihood of dropping out of school, having children as teenagers, or becoming entangled in the criminal justice system. Sadly, the CRDC data further support a rising trend in our nation to discipline young, bright children with a "zero tolerance" policy that is setting them up for failure...."
to the ministry in the Eucharist. without any special separate authorization. We seem committed to the idea that violence will bring peace, and Jesus is saying, "No, it won't. It never will; it never has." The only way we're going to transform our world is through the love that Jesus shows us: that you return love for violence, love for hate. That's how we can transform our world. Jesus promises us that our world can be transformed into the reign of God where everyone will have a full human life, where there will be peace, joy, fullness of life. If we listen, try to change our ways of thinking, and then change our ways of action in our individual lives, in our neighborhoods, in our cities, our world, then the reign of God can break forth. And the peace of God will fill our hearts, fill our minds, our whole being, and gradually transform our world into the reign of God." Know that you are not alone…ever. Your voice while causing trouble and pain for you has made a difference in the church for many of your lay co-workers. I know I am one of them. Over forty years in church ministry. Sometimes you as a group were the only ones who were giving voice on an organized, effective high profile professional level, too much of what I had come to know and value because of my own education (Jesuit graduate schooling in religious education and biblical studies). Over the years I have often said to those I was privileged to work with that the human body has orifices that can be prostituted just as much as the ones we normally think of. After that point was made I wanted them to know that I had often prostituted myself. Sometimes over even small things. Why? Because I did not open my mouth and say what I ought to have said. Many times I was silent and did not cry out or even utter a public word when the situation called for more than that. To me, that is and was as much a prostituting of myself as any other act of prostitution. For a few pieces of silver I remained mute. Thank you for often being braver than I. I do not want you to think that I did not at times speak out. But whenever I did there was a price to pay and it was paid. But we owe you a great debt for your bravery and your modeling for us what “faithfulness” is. Faithfulness … a loyalty and dedication even when one is afraid, even when one pays a price and one suffers because of it. Thank you for maintaining “apostolic succession” so effectively in your individual and corporate presence in and to the church. 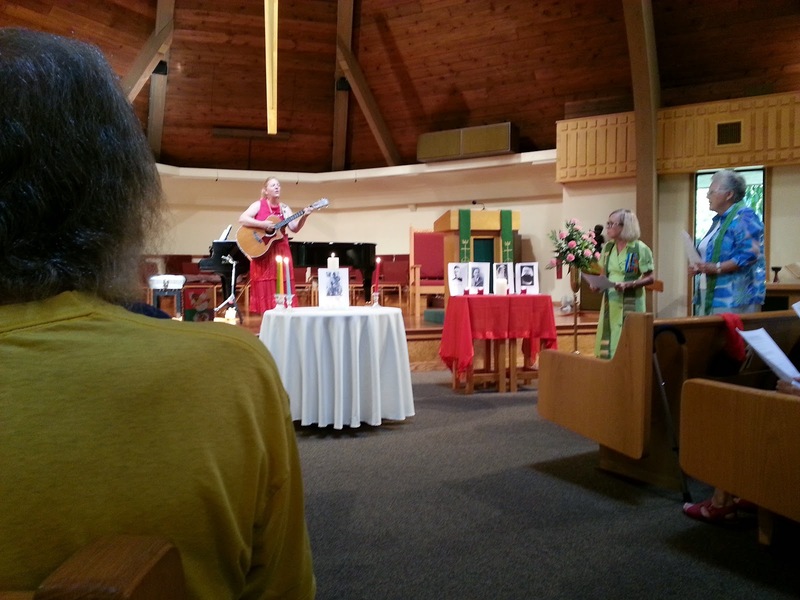 On Aug.9, 2014, Maureen McGill and Janet Blakeley led a liturgy of remembrance of people who had given their lives for peace in the 20th and 21st century. Roman Catholic Woman Priest Maureen McGill ARCWP wearing stole and Janet Blakeley in blue lead liturgy. Mindy Lou Simmons, music ministry, sings "where have all the flowers gone"
We also remembered all those who died in World War1, World War11, Pearl Harbor, Hiroshima and Nagasaki, Korea, Vietnam, Gulf Wars, 9-11, Gaza, Israel, and the current wars in Iraq, Syria and Ukraine. 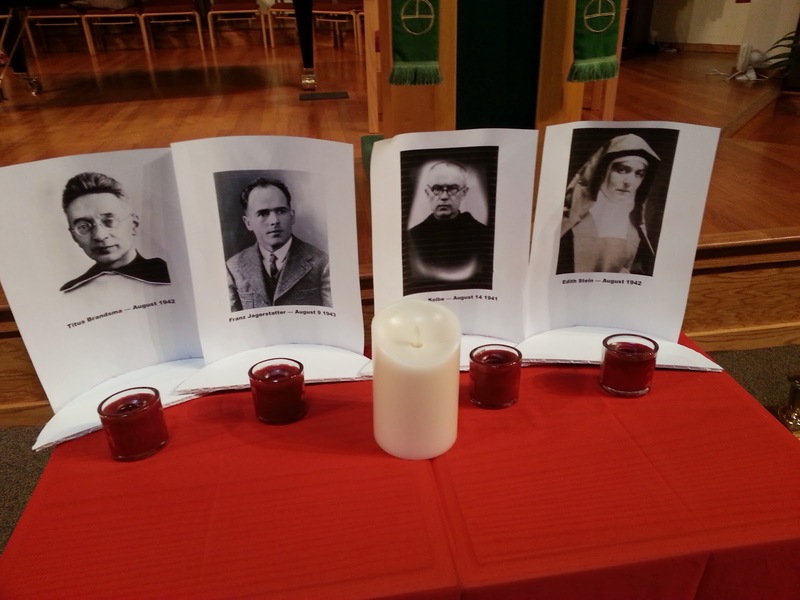 First Candle:Titus Brandsma, A Dutch Carmelite priest and Deitrich Bonhoeffer, a German Lutheran pastor, both of whom opposed the Nazi regime and tyranny. Second Candle: Franz Jagerstatter, who refused to serve in Hitler's army and was behaded as an enemy of the state. Third Candle: Edith Stein, scholar, teacher, convert from Judaism to Catholicism who entered Carmelite Order. She was known for her kindness to children in Auschwitz prison camp. She died in the gas chamber in 1941 in solidarity with the millions of her people who were killed in camps during Hitler's reign of terror. Fourth Candle: Maximillian Kolbe, a Franciscan priest and martyr who took the place of another man who was to be put to death. When the man cried out that he would never see his wife and children again, Fr. Kolbe stepped forth. 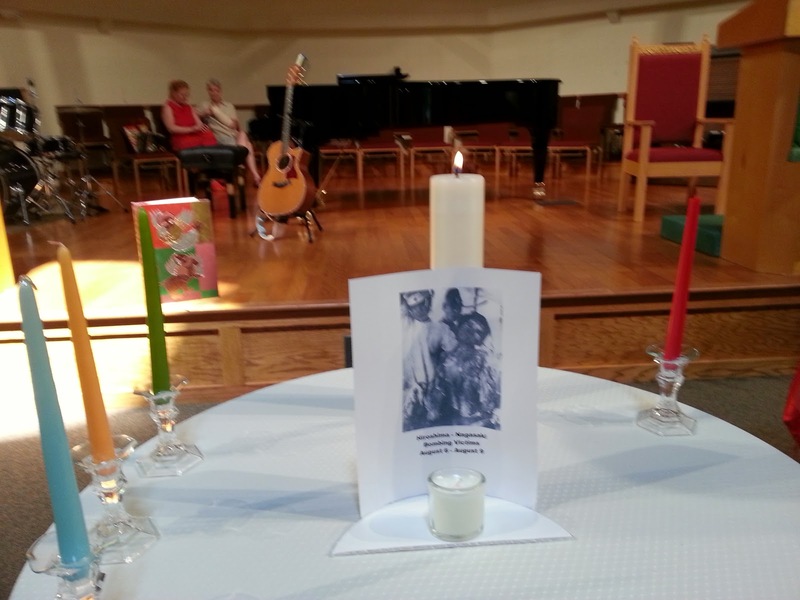 Fifth Candle: Millions of people who were killed in all the wars and violent conflicts in the 20th and 21st century. Our MMOJ community meets on Sat. 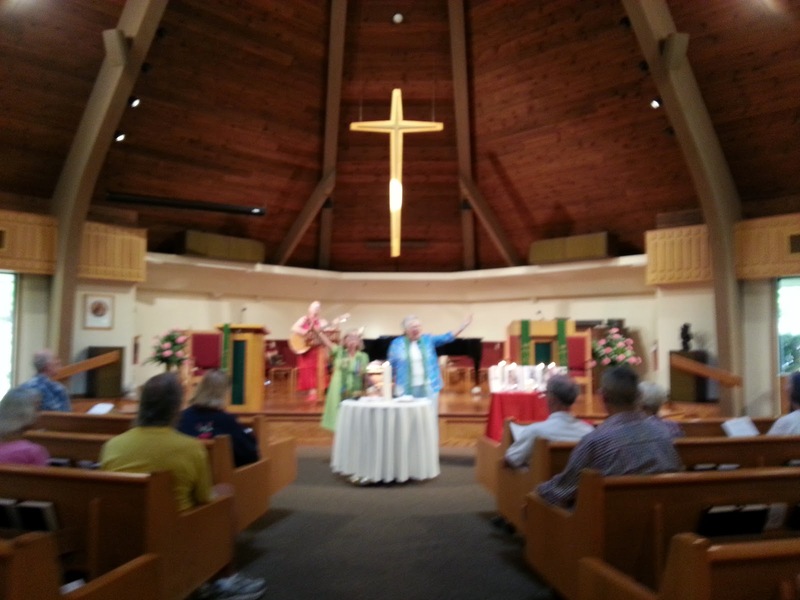 at 4 PM for an inclusive Catholic Mass at St. Andrew UCC in Sarasota, Florida. ..."Our church over the centuries has maintained a steady and usually reliable course. Today by many accounts, however, it is a ship in troubled waters. We have not reached calm seas on many issues: married clergy, women deacons and priests, shared authority at top levels of decision making, trusting the consciences of it members and incompetence in leadership roles. Above all, how does our church prepare for the stormy weather in the forecast? 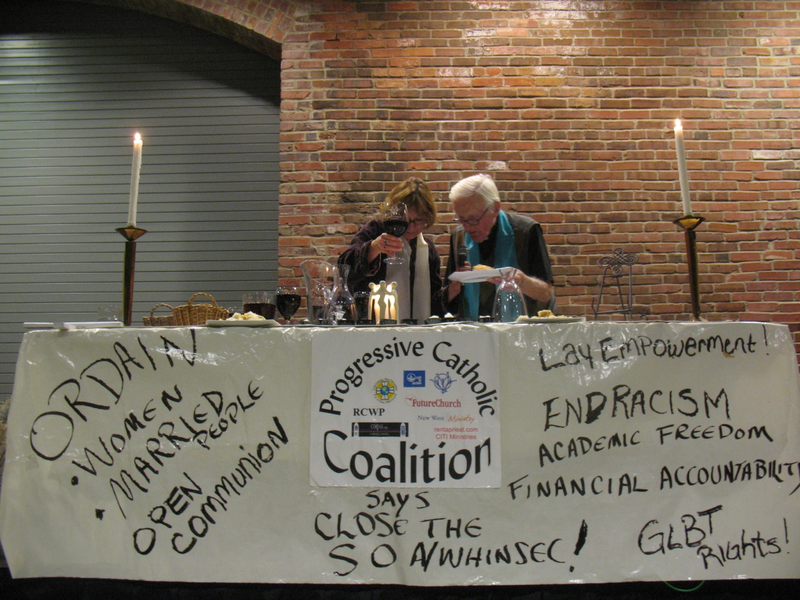 How do we reach disenfranchised Millennial and Pluralist generations? How do we plan for a greater shortage of priests? How do we break the chains that continue to moor our church in safe harbors, a church often afraid to jump into the waters much less sail the high seas. Maybe for this week you and I can take time to notice what is stirring in our lives that requires acting beyond our fears. Maybe there is something that is challenging us to take a bold step forward in the face of those fears. Just maybe this is the time to let go of whatever it is that holds us back so that we can chart a course forward trusting that the God of all creation will guide us safely home."